Pride Prep, a middle school expanding to a middle and high school. Leadership development and student coaching are part of the academic approach at this middle and high school. In addition to college-prep academics, students will focus on problem-solving and interpersonal skills. The school will be partnering with local businesses to help educate students to be ready to become part of the future workforce. In the first year, the school will have just sixth- and seventh-graders. Spokane International Academy, a K-8 school. The school will start with kindergarten, first and sixth grades and grow from there to build a K-8 school. The school will use the Cambridge International curriculum, and the academic program will be heavy on projects and hands-on learning, explains head of school Travis Franklin. For example, the school is building a garden where sixth-graders can study and experiment around their biology lessons. 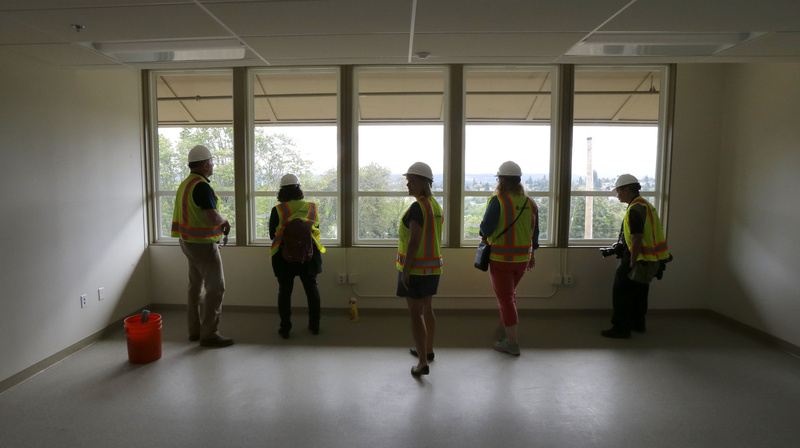 SEATTLE – While most public school children are grabbing their last moments of summer vacation at the beach or the pool, many Washington students who signed up to attend one of the state’s new charter schools are getting ready to enter the classroom this week. Last year, Washington had one charter school. This year, there will be nine – in Spokane, Tacoma, Kent, Highline and Seattle. Here’s a look at what this year’s students and parents will find when they walk through the doors and how the Washington charter experience will be different from what’s happening at traditional public schools. The school year will be longer – at least 10 days longer than the 180 days scheduled at regular public schools. Three schools are starting today, one Tuesday and two next week. Most of the charter schools also expect students to spend more hours each day in the classroom. The academic program may be more creative, intensive or challenging than what students have been used to. Charter schools have to buy or rent their own buildings and contract for services like school lunches and building upkeep. They don’t have a central office taking care of things like hiring teachers and buying equipment, although four of the schools opening in Washington are part of charter management organizations that are taking care of some of the details. Charters have access to some startup money from the federal government or through foundation grants. They receive money from the state based on student enrollment, but they will not have access to local property taxes during their startup years. Charter schools and their students have to follow most of the same rules every other public school is required to obey. Attendance is still mandatory. Discrimination is banned. Students will take the same standardized tests. Children who disobey safety or other rules will still be sent to the office and may face suspension or expulsion. The school is required to keep track of everything from attendance to discipline and special education. HOW DO THEY COMPARE TO ALTERNATIVE SCHOOLS? In most ways that count, charter schools and alternative or choice schools run by school districts are similar. Most offer an alternative academic program with elements like special projects, guest speakers, all-school learning themes, cross-subject collaboration and field study. Like charters, many alternative schools welcome out-of-district enrollment. Parents are often asked to be more involved in planning special events or supporting the schools through volunteer work or financial support. Students may have to enter an enrollment lottery. Teachers often take a bigger leadership role in planning the academic program. Private companies are asked to send volunteers or money to support the school. WILL KIDS LEARN MORE AT CHARTERS? We won’t know until the schools can report a few years of student test data or if they can compare test scores from student’s old school to their new school. This may not be doable right now, since Washington is in the midst of switching to a new testing system. Even though parents and teachers like to share anecdotes about how much individual students are learning and growing at their school, the state and academic watchdogs will likely focus on growth in student test data to analyze how much they are learning at the new charter schools. It won’t be the only way these schools are judged, but it will be a significant metric.